This unusual photo of the ruins of a temple of Fortuna, in Rome, was kindly sent to me by Caroline Wise of the Fellowship of Isis, who also let me use her picture of Lake Nemi, in Italy, a couple of weeks ago. Fortuna is the Roman Goddess of Luck. Caroline said: "Here is a Temple of Fortuna in Rome, the one Fasti mentions as being celebrated on June 24 - our old midsummer day. It now has a colony of cats living there who are fed by someone. 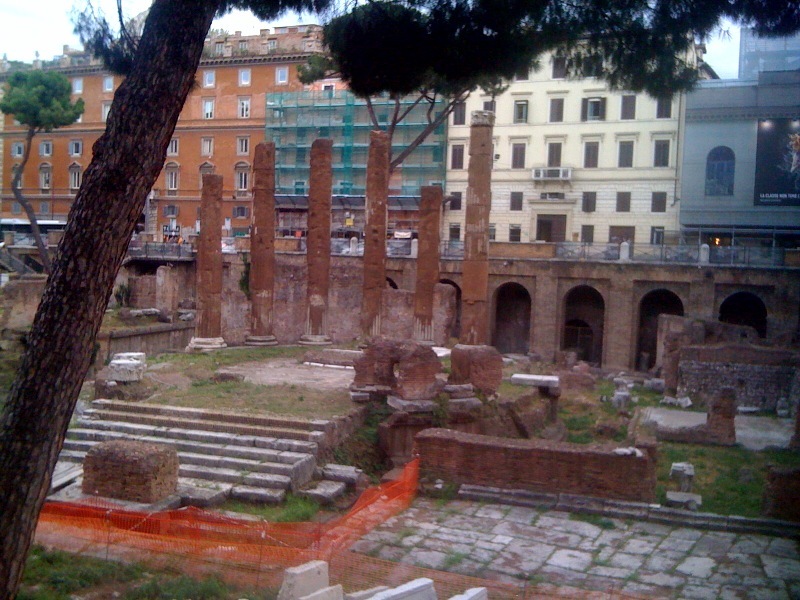 These cat colonies are prized in Rome and now protected by law - they keep the vermin down." Note: The photo is copyright Caroline Wise and is reproduced here with her permission. Please do not download it, copy it or use it anywhere else without Caroline's permission.